Earnings updates on networking, security, and applications. In an earnings call on August 15, 2018, Cisco Chairman and CEO Chuck Robbins shared that he is pleased with the business' growth over the last quarter, citing the company's highest quarterly revenue. He highlighted the role Cisco is playing with customers in multicloud environments and intent-based networking as two examples of the company's momentum. Some key points Robbins mentioned-the company generated a quarterly revenue of $12.8 billion, up six percent year over year, and 56 percent of Cisco's software revenue now comes from subscriptions. "This quarter we continued to transform our business in recurring revenue," said Cisco Chief Financial Officer Kelly Kramer. Cisco's recurring revenue as a percentage of total revenue is 32 percent, which is an increase of one point from last year. Since Cisco released its intent-based networking portfolio last year, it's continued to see high demand for the Catalyst 9K which is the fastest new product introduction in the company's history. Robbins also said the company has seen significant traction on the SDWAN front. "I am pleased with ongoing integration of Viptela," said Robbins. Cisco's acquisition of the company has created traction in SDWAN that has now seen deployment with over 800 customers. Robbins also highlighted innovations happening across the business portfolio. Bringing networking and security together at scale gives the company a huge advantage. The security business grew last quarter 12 percent year over year. The security architecture is supported by Cisco threat intelligence team Talos, which has sophisticated infrastructure and unrivaled telemetry of data. Another area of innovation is applications, where the company delivered a 10 percent increase. 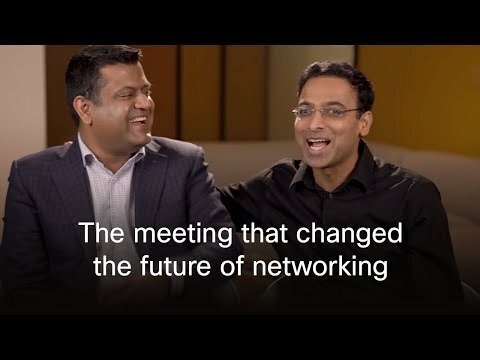 Cisco is seeing leadership with both its Webex collaboration tools and app management tool AppDynamics. Robbins ended the call by looking toward the future, hinting 5G technologies in 2020 and growth in innovation for FY19. Stephanie Ellen Chan is the Editorial and Video Producer at Cisco. She has a passion for writing about the intersection of culture, media, art, and technology.